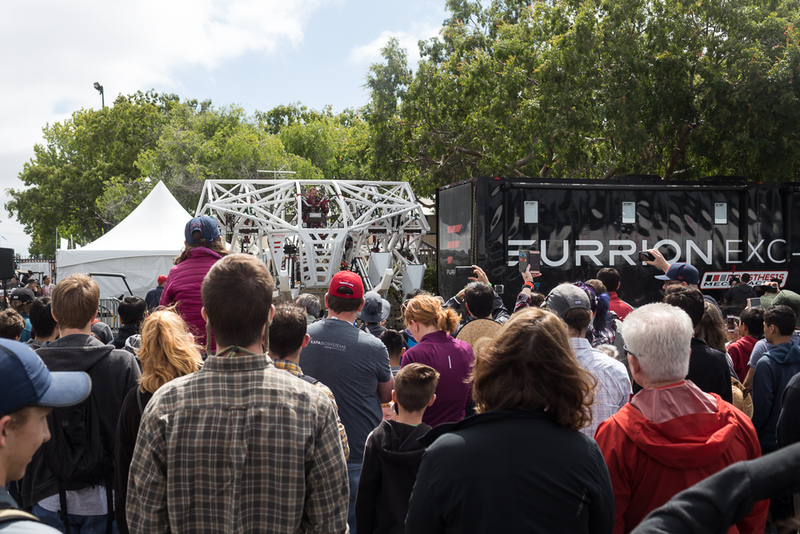 Maker Faire Bay Area is a really great opportunity to show off the interactive technology that we’ve been working on. It’s also a trill to see and hear about new ideas from attendees and Maker exhibits. We’re a little biased because they were our booth neighbors, but what a cool take on the ping pong game. This special light-up table can sense where a ball lands and can change the color of squares accordingly. You can then play games where you try to hit the ball onto certain areas of your opponent’s side of the table. A funny side effect was that dozens of ping pong balls ended up in our booth, which we were happy to pass back over. This was a hit with the crowd too. We wish we had a chance to play more, but the lines were too long! 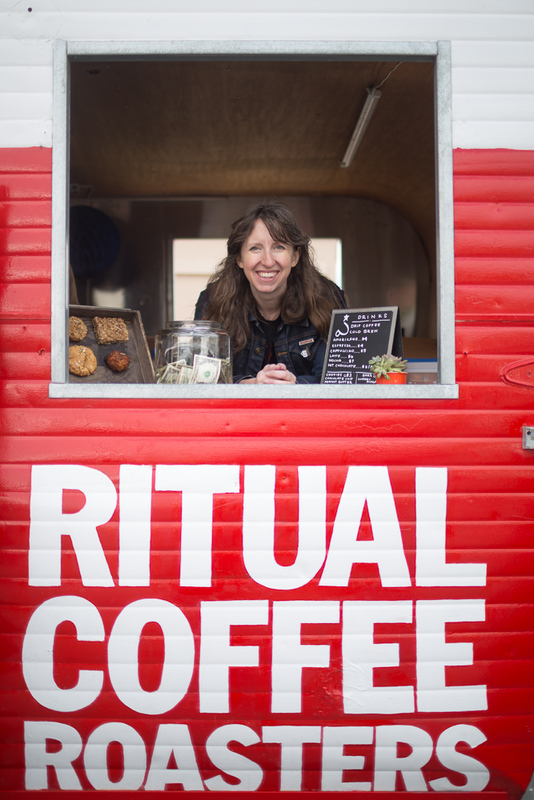 Ritual is here every year with their fabulous Sputnik coffee trailer, keeping us caffeinated during our long days at the show. Drip, cold brew, lattes, and espresso all from one of the best coffee roasters out there. Totally didn’t expect to see anything so crazy this year. The human pilot on this Furrion mech gave walking a go for the first time on asphalt. We watched it lurch forward with hesitant, massive, and suspense-filled baby steps. The mech mirrors movement of the human pilot, so there’s a huge learning process involved, which we had the opportunity to view real-time. The this light-art piano’s coolness was only exceeded by the talent of the piano players. It was a pleasure to hear your music, William! Thank you for Luminescent Grand! Steampunk meets singed eyebrows. Loud and fire-y and very unique. 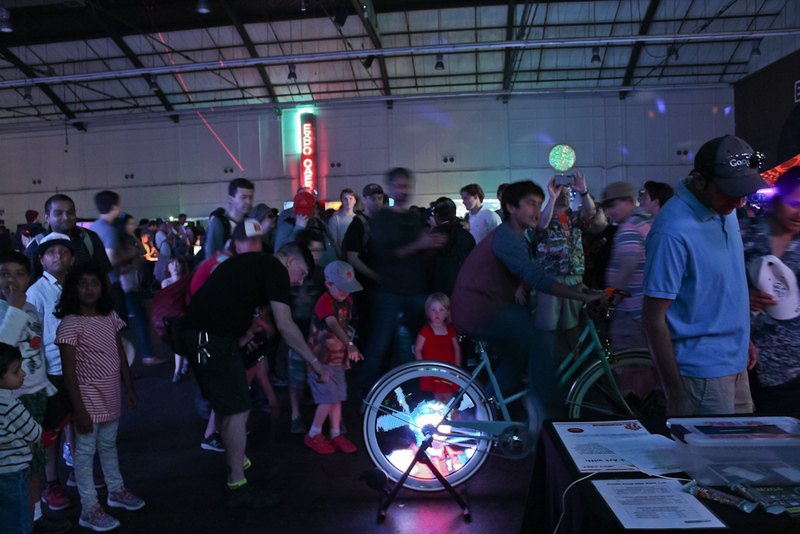 A pedal-powered stage. 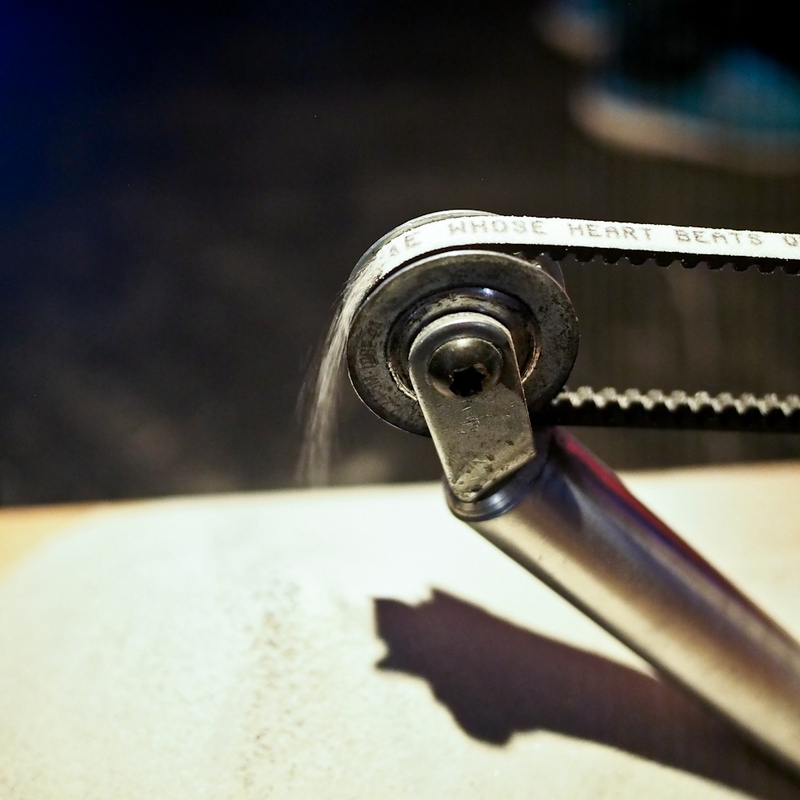 All of the power generated from Rock the Bike’s special bikes is transferred to the stage to keep the music coming! Pizza Jesus. It’s always a pleasure to see these Unusual Cards. The Chronos camera by Kron Technologies represents ultra-high speed photorgraphy made available to normal folks who can’t spend $18k on a camera. 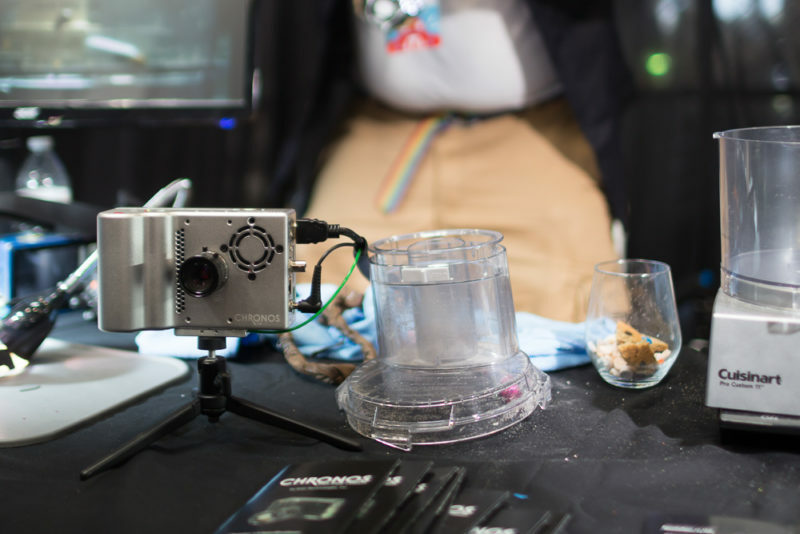 They stopped by our booth and gave us a live demo of our Monkey Light Pro in slowmo. Very cool. Aaron went by the Burn Hot Sauce booth, and seems really enthusiastic about their variety of organic, fermented hot sauces. He bought three different kinds and says his favorite is the Bulgarian Carrot Pepper sauce, but the Serrano and Golden Cayenne are also pretty great. The Agave spirit barrel-aged, fermented sauce apparently had a “really interesting flavor”, and he’ll probably check out their chili powders and pickles at some point. It was a pleasure seeing all these other makers in action. Until next year! 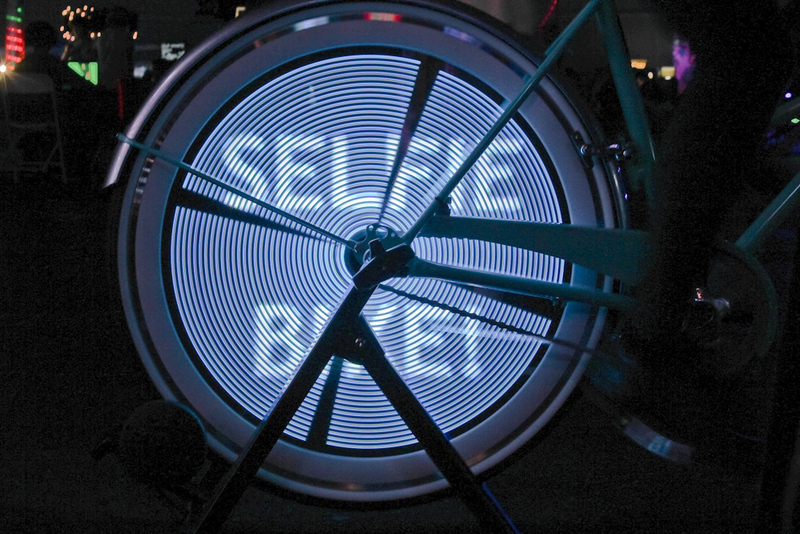 The Selfie Bike in action! 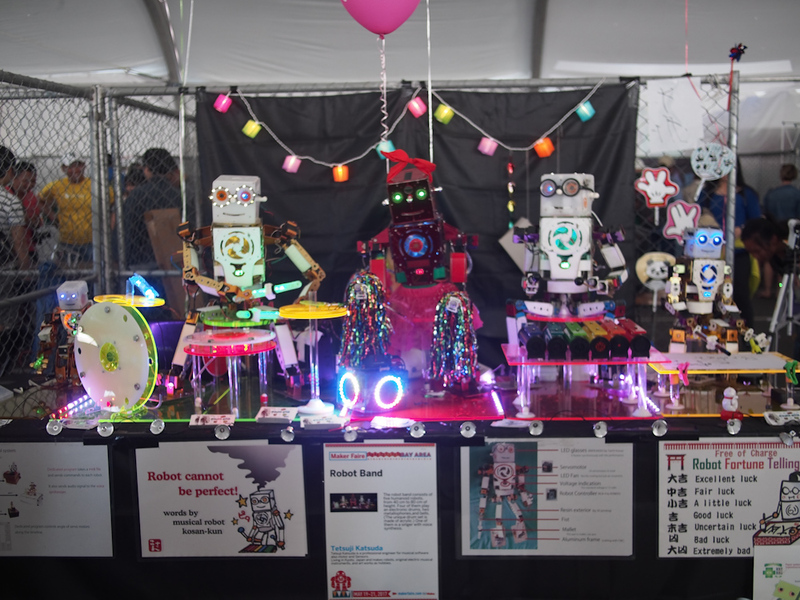 Another Maker Faire is in the books. If you stopped by, thank you! 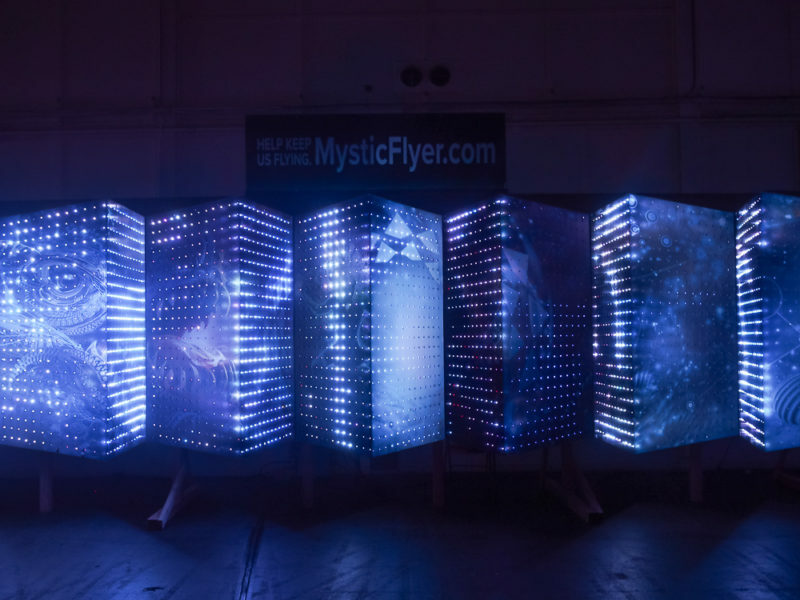 This year, we showed off our Selfie Bike: a bikey take on a photobooth. We took photos with an iPad and beamed them to a Monkey Light Pro on our bike wheel. (Shout-out to Detroit bikes for the gorgeous Made-in-the-USA bike!) We also brought back our crowd favorite, Draw on the Wheel. It’s a fun, interactive exhibit for children (and adults!) 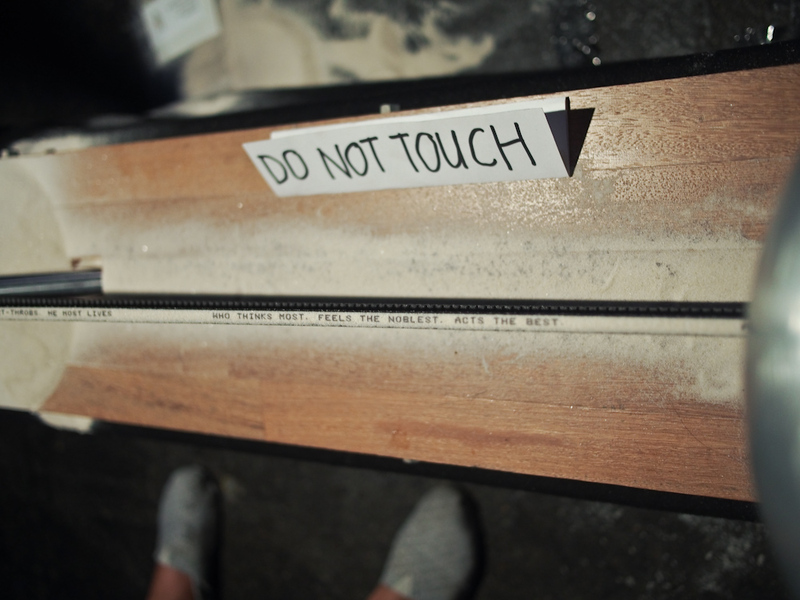 where we scan their drawings and broadcast them on a wheel for everyone in the exhibition hall to see. We also had on display our M232, M210 and M204, as well as prototypes for our new, automatic A10 A15 and A30s that we Kickstarted last fall. 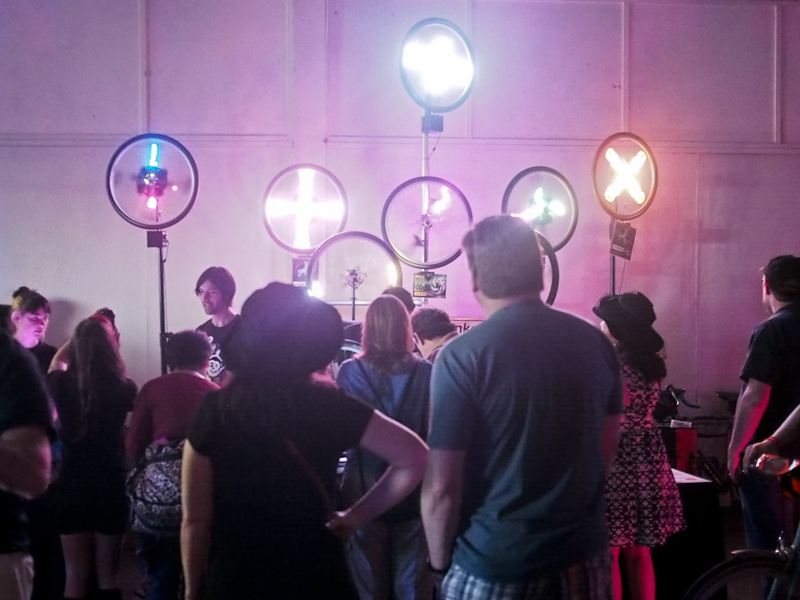 We got a chance to wander about and see a lot of other DIY projects that Makers were showing off. The Amelia Mouse Piano by Ramon Yvarra was a smart piano with a giant display that translated MIDI sequences to real songs and key strikes, complete with a giant LCD screen for visualization. 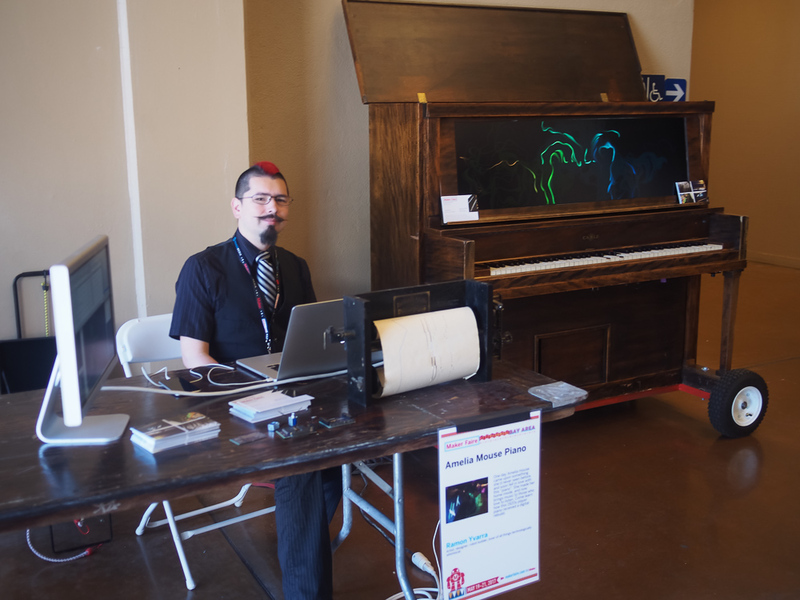 William Jerome and Zach Vorhies made this fully interactive LED grand piano. 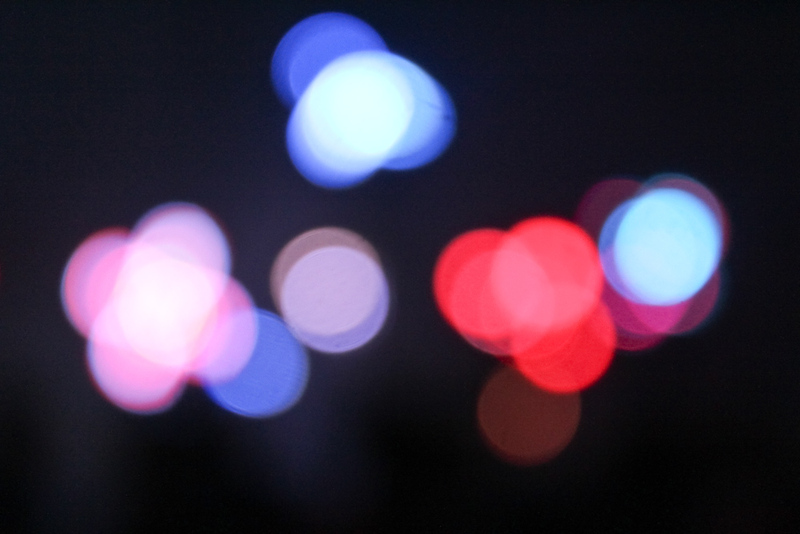 It’s a beautifully responsive, musical light show. 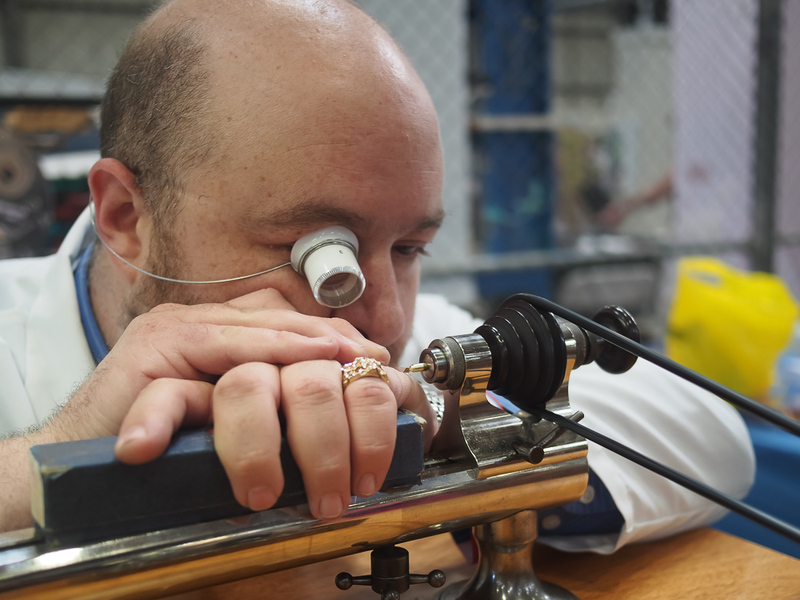 A serial Maker, Gijs Van Bon brought a new project to this year’s Faire. Called Minuted, his device prints poetry on sand on a slow-moving belt. The sand eventually falls into a pile, converting the temporary message into a pile of black and white sand. It’s a remarkable device and a well-executed concept. Tetsuji Katsuda made a merry band of charming robots who played songs on real instruments. Amazing dexterity was on display at the American Watchmakers-Clockmakers Institute booth. We’d never seen a lathe so small make chess pieces so small. It’s one thing to see a piece and appreciate the work that went into it, but watching it happen is on another level. 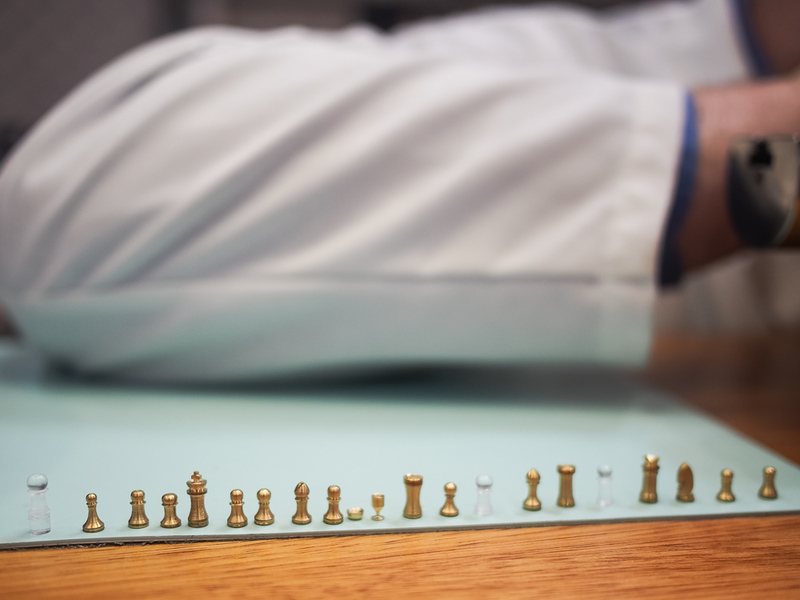 The American Watchmakers-Clockmakers Institute – Tiny chess pieces! 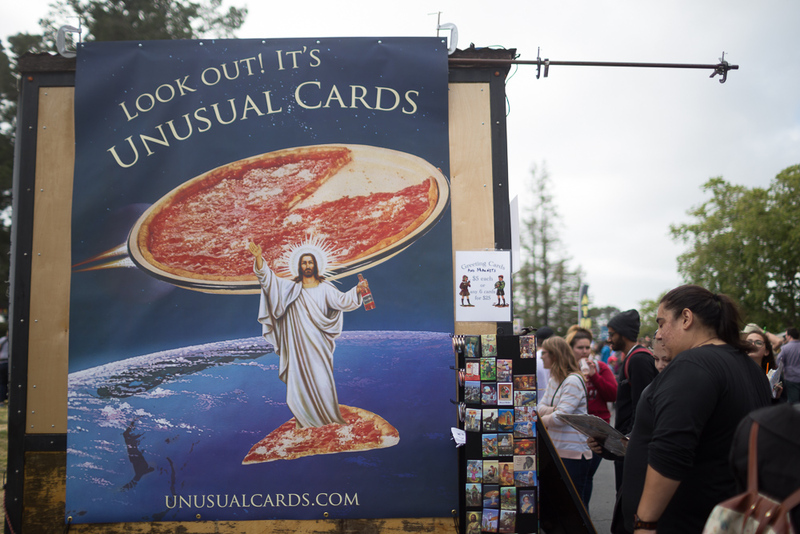 As always, we were happy to stop by the Unusual Cards booth! 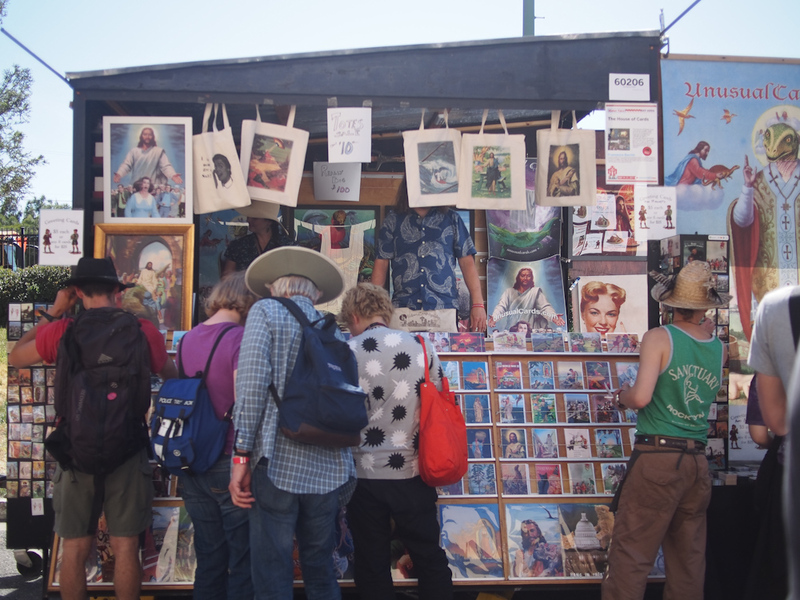 Many awesome folks stopped by our booth – thank you! We were especially impressed by two folks from SCUL – a set of east-coast-based night riders who decided to fly out to San Francisco, buy bikes on craigslist, and then tour around California for a month through a series of long rides and bike camping. We’re also thankful to Ritual Coffee for helping us stay caffeinated, our first taste of Mushroom Jerky from Far West Fungi, and the always fun, whimsical inventions of Steven M Johnson.